You can hardly find people who don't like mangoes.....which are called the "King of Fruits".....here is, yet another wonderful preparation from mango.....you can call this a Karnataka speciality . A very close relative of mine is an expert in it, nobody can ever match the taste of what she makes!!!! I might have modified the recipe here and there, but the end product was good. But I am not sure, whether it came up to the standard of what she makes!!! Unripe mangoes, apart from being so versatile, yield as much Vitamin C as 35 apples, 18 bananas, 9 lemons and 3 Oranges. Raw mangoes help ease digestion and control constipation. They treat blood disorders, highly beneficial in treating scurvy, they cleanse the intestine and clear off many infections, prevent dehydration, treat gastro-intestinal disorders, treat liver disorders and contain more anti oxidants and Vitamin C than ripe mangoes. 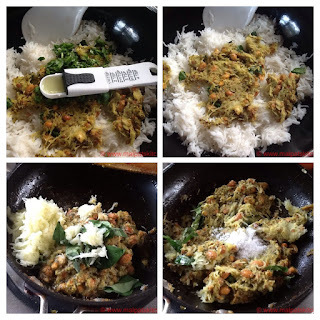 I have , to this rice preparation, added some grated ginger, which is a medicinal miracle- root, and when combined with the benevolent mangoes, this rice variety is a must try in every kitchen. So, we must prepare this dish, while the mangoes are available in the market. 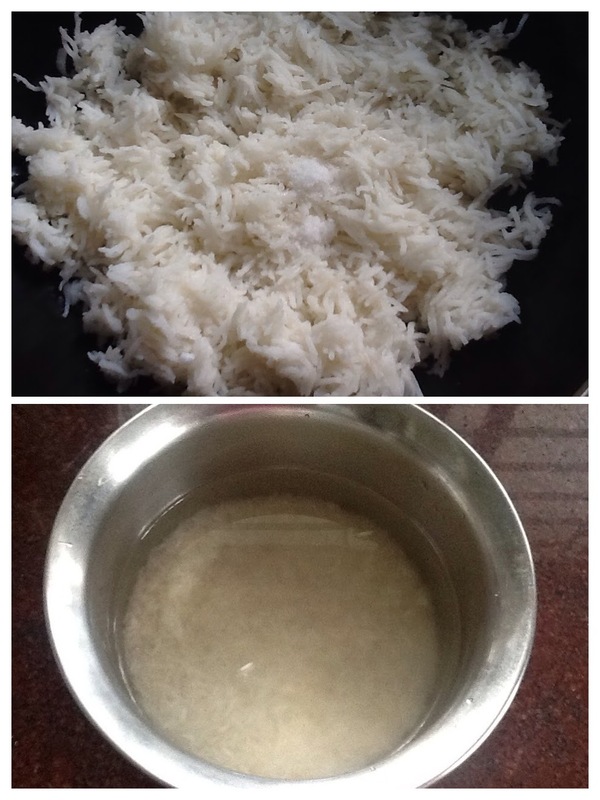 Basmati Rice - 3/4 cup, soaked in water for 1/2 hour, then cooked separately and cooled down. 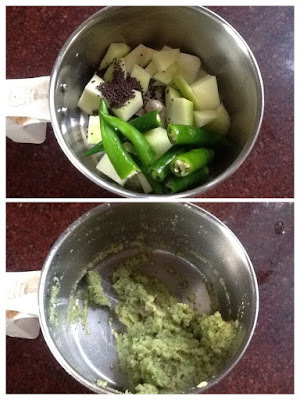 Then the grated mango added to the sauteed above mixture. Mango just has to be mixed; it can stay raw. You do not have to fry it for a long time. Salt added, then the whole mixture dropped on top of the cooled rice, lemon juice added now. Serve this fantastic rice with just curds, or raita of your choice or papads. 1:2 3/4 measure of water. Not only that, the grated mangoes and the lemon juice also added to this consistency, I am sure. Wonderful recipe of Karnataka.The dishes from this state is my favorite. And I urge you to post more of Kannada recipes. The combination of lemon and mango is so tongue tickling ! As usual the end product takes this rice to a different level! !